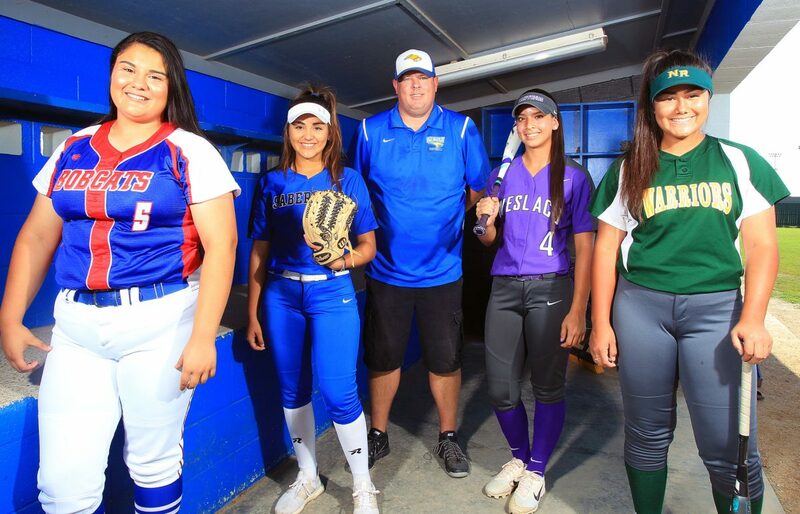 Left to right, All-Area Softball Player of the Year is Edinburg High junior pitcher Erika Cortez, Pitcher of the Year is Edinburg Vela senior pitcher Naomi Reyes, Coach of the Year is Edinburg Vela coach Jon Maples, Offensive Player of the Year is Weslaco High junior catcher Audrey Escamilla, and Newcomer of the Year is McAllen Rowe freshman third baseman Ziomara Jasso pose at Edinburg Vela High School on Tuesday, June 5, 2018, in Edinburg. The Monitor’s All-Area Softball First and Second Teams from the 2018 season. Kristy Alanis, PSJA Memorial, outfield: .521, 49 runs, .988 fielding pct. Alexis Walden, McAllen Memorial, outfield: .402, 21 RBIs, .456 on-base pct.